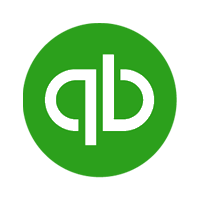 QuickBooks Premier enables users to perform a wide range of accounting tasks, such as invoicing, payroll, and bills payment among others. It is available as a one-time downloadable product and as a cloud-based app. In this article, we cover user reviews and pricing. Ready to get started with QuickBooks Premier? Visit their website. Users who gave QuickBooks Premier a positive review said that it is easy to use and has a very responsive customer support team. Others like having the ability to create customized reports to meet their different accounting needs. 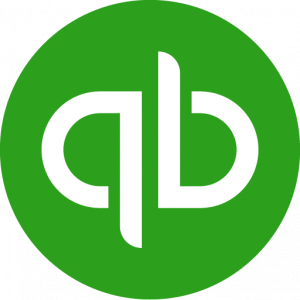 As of the date this article was written (01/09/18), there are no up-to-date QuickBooks Premier reviews online. If you are a past or current QuickBooks Premier user, leave a review to help others who are deciding whether or not to use the software. QuickBooks Premier offers two products — QuickBooks Desktop (one-time license fee costs $499.95) and QuickBooks Online, which has the following sub-plans: Simple Start ($20/month), Essentials ($35/month), and Plus ($60/month). The main differences between the plans are the number of users and the availability of advanced features, such as project and inventory tracking. *Those who sign up to QuickBooks Online for three months are given a 50% discount. QuickBooks Desktop is a one-time purchase that is downloaded to your desktop computer, while QuickBooks Online is cloud-based and may be accessed from any desktop and mobile device. Ready to get started with QuickBooks Premier? Visit their website. 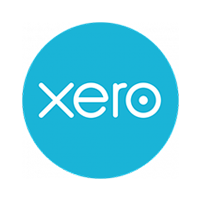 10 Best Accounting Software for Small Businesses 2019 — The best accounting software for small businesses should be affordable, easy to use, and allow you to easily track income and expenses. In this guide, we looked at over two dozen accounting software and narrowed it down to our top 10. Does QuickBooks Premier offer a free trial? Yes, but only for QuickBooks Online. Each plan comes with a 30-day free trial that includes all the features of the paid version. Will there be an additional fee if I want to add more users to my QuickBooks Desktop software? Yes. Its one-time fee of $499.95 accommodates only one user, and QuickBooks Desktop allows a maximum of five users. The prices for two, three, four, and five users are $549.95, $829.95, $1,039.95, and $1,249.95, respectively. Not sure if QuickBooks Premier is the right fit for you? Read our reviews of all top accounting software providers or check out one of these three QuickBooks Premier competitors. The company has put together a product that is easy to use, very versatile and extremely affordable. Many bells and whistles for a fantastic price. As an accountant, the reporting cannot be beat. I have worked with other programs/systems where there are important basic reports not available or included with the program. My only gripe would be customer service. Some of the folks are better than others but they are slow. As I have been using QuickBooks for 14+ years, I don’t really think there is anything I wish I knew before. Their manuals are okay, they get in the basics. The Intuit community is where all the best information is. Very informative if you have questions. I would rather go there then call customer service. Overall it’s a very good program for Desktop. They have good customer service and take time to fix anything that is wrong with the software. The software is user friendly to a point and then you must have some skills to understand how to get things done using the software. Recurring charges are handled much better than they used to be years ago. The ability to create custom reports is very important and this program does not let you down there. You can create just about anything you need and even export the report to Excel. The features on this program are comprehensive and well thought out. You have the ability to create Estimates which then can be turned into Invoices. You can easily manage Vendors and payment to them. In addition, you can manage payroll very easily to vendors as well as employees. You can generate Tax Forms and save a great deal of money with your CPA. I highly recommend this software program. The price of the software is a bit high for 1 year. While is has great features, there is little difference between this version and the PRO version which is about $300 cheaper. It depends on the type of business you have and whether you would benefit from the differences versus the price. The backup process has some issues, but nothing that stops you from using the software if you get an error. The renew process is not fully seamless online, so calling to insure your order gets renewed each year might be worth it. Well, this is a tough question to answer. I have been using this software for about 23 years. They are so different today compared to what they were 23 years ago. I trust this company and feel strongly that this product is an excellent product, aside from the price point. I use Quickbooks Premier Contractor edition to keep up with my construction business and my development of apartment housing. The program is easily customizable to both types of activities. You can do estimates for various jobs and compare your purchases against the estimates as the job is produced. You can also bill the customer for work completed whenever you wish. I’ve organized my estimates with categories that reflect the various stages of the jobs, and I have created “items” for charging that are organized in a similar fashion. For example, estimating a footing would involved the items for survey staking, digging and pouring the footing, rebar (if needed), stone (if needed), concrete, and other items. As these are purchased, you would find reports already created that would show your progress. The program also can do your payroll, keeping up with time sheets, your various state and federal reports, unemployment insurance, etc. It’s very easy to do. And it also prints 1099’s and W-2’s with the yearend reports. A truly great program. I’ve had very few problems with the program. The most irritating is the automatic backup procedure. There is a part of the program that permits backing up the data at various intervals. Occasionally, it has failed. It does notify you of the failure via email, so that is helpful. It’s just an irritation. I’ve been using this program for about 25 years, so I really don’t know how to answer that. I do wish they could migrate the program to the web, however.